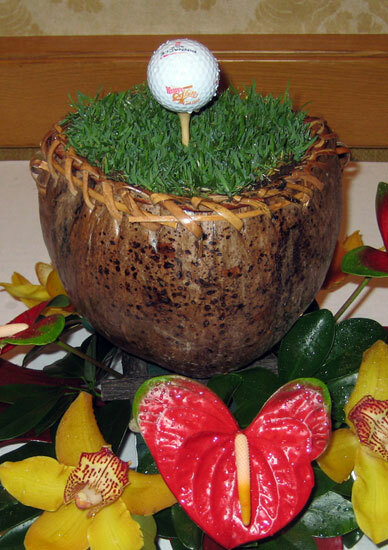 Fukushima Flowers prides itself on our creativity. 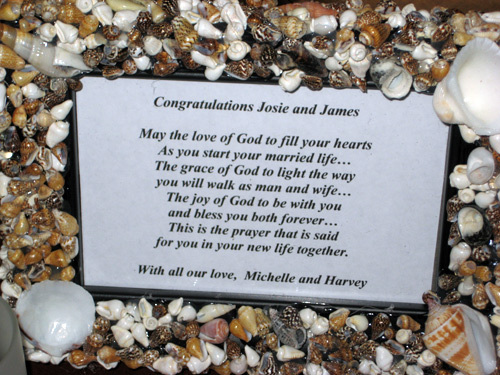 In addition to flowers and baskets, we'll do our best to make your event or gift distinctive and extraordinary. 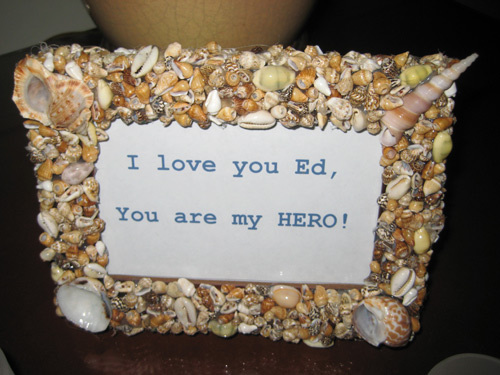 We hand make our shell frames. They are most commonly used in our Honeymoon Package. 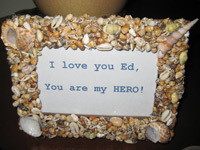 However, since you customize the message, they can be used for any thoughtful occasion. 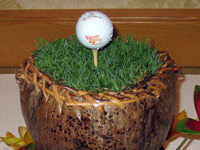 We will make specialized centerpieces or baskets to suit the theme of your event, such as the golf bowl shown below for a golfers conference. 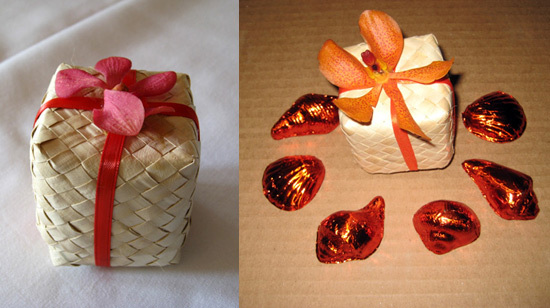 Give floral-enhanced party favors (shown left). Call now to explain your gift need, and we'll help to come up with something that makes the recipient feel extra special!